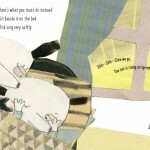 Not every child greets the new day with enthusiasm. Those who don’t are called Grumples, and they must be dealt with carefully. 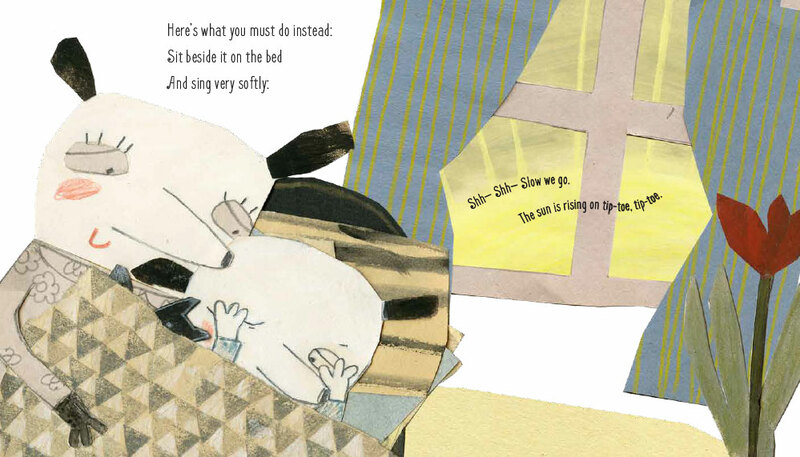 Sing very softly, tickle one pinky toe, kiss the scrunched-up forehead. 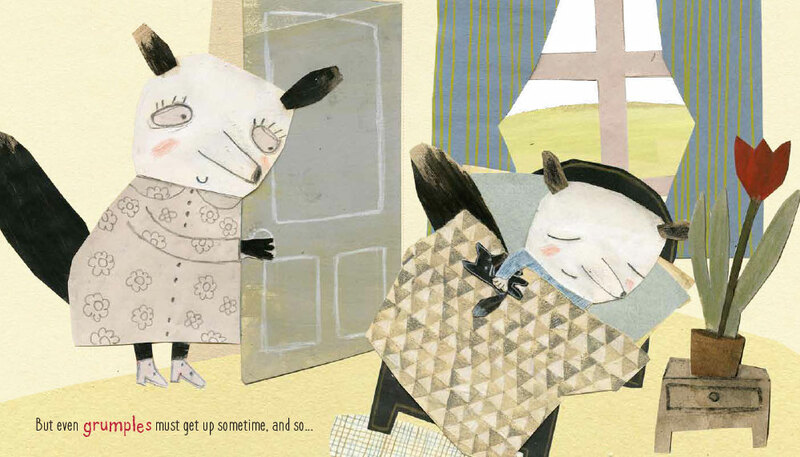 And then a big hug and a singing rhyme to see in the day. Even Grumples cannot resist. 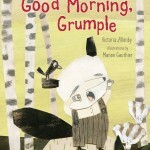 There are many going-to-bed books, but Good Morning, Grumple is a unique look at the celebration of morning. 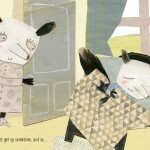 Manon Gauthier’s endearing collage illustrations capture the love between a mother and child, even in cranky moments. 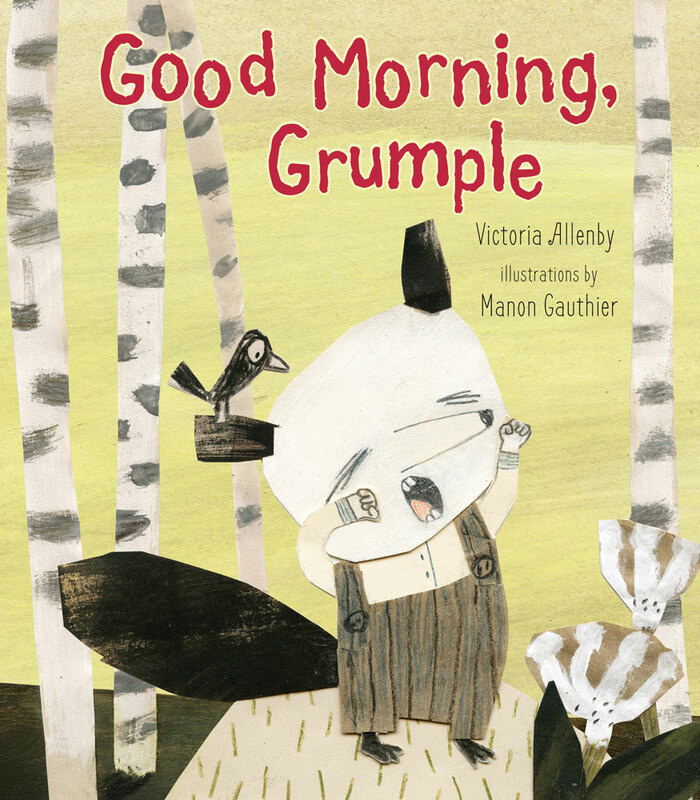 Parents will find Victoria Allenby’s droll story in verse to be a perfect accompaniment to the beginning of the day, and a gentle way to turn their own Grumples into children again.